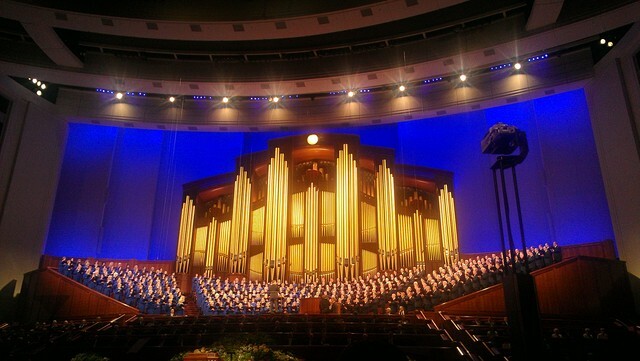 With general conference this weekend, we have the great opportunity to invite our friends and others to listen to a prophet’s voice and to hear the word of God. This is a special chance for others to learn more about us, but more importantly, to feel the Spirit testify truth in their hearts. The following video of a missionary's invitation to watch general conference comes from the YouTube channel, Prepare to Serve. For one young missionary, Elder Bodine, the invitation to a drug lord to come watch general conference became a miracle story that would change the man’s life forever. While teaching a group of people on a street in Mexico, Elder Bodine and his companion were approached by a drug lord named Christian. The man, who usually heckled the elders, came to listen and actually seemed interested in what they were saying. Summoning as much confidence as he could muster, Bodine answered yes and testified of the truth he knew. The elders then invited Christian to see for himself by watching general conference the next Sunday. “I’ll never forget . . . when I looked outside the gate of the church and here comes Christian,” Bodine said, explaining what happened the day of general conference. At one point during the conference sessions, Bodine went to check on Christian. "I went and peeked into the chapel and it was pretty much empty by this time and he was still sitting there. He had his head down, and I remember turning to my companion and saying, 'Oh my goodness he slept through the whole thing.'" Bodine could tell that Christian was touched by what he had witnessed; his eyes looked puffy from crying. The missionaries testified of the truths they just heard, gave him a Book of Mormon, and set up an appointment to meet the next day. Christian read all the way to Alma before the appointment and was filled with conviction of the truth of the book. “The best part of that was that he testified to us in that lesson that it was true,” Bodine said. From that day, Christian showed he wanted to become more like Christ and was soon baptized a member of the Church. “I’ve read enough that I know this book is true, and I’m willing to do anything to change,” Christian said. Lead photo screenshot from YouTube.